Requires Mac OS X 10.4 - 10.6. Older versions for OS X 10.2.8 and 10.3.9 available. Broadband internet and installation of RealPlayer and Flip4Mac recommended. 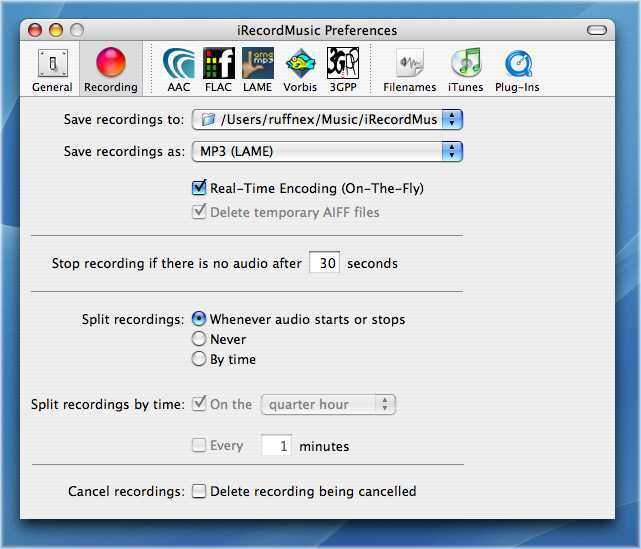 iRecordMusic enables you to easily record audio from web pages and Internet radio streams. 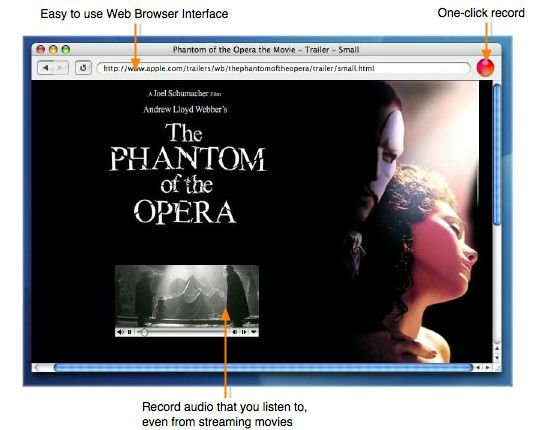 If you can use a web browser, you can use iRecordMusic. 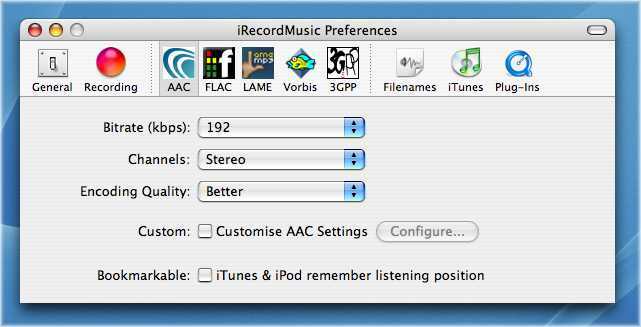 Simply use iRecordMusic like a web browser to visit your favourite web-sites which play music, and with one click you can record the audio for later playback in iTunes or on your iPod. Recording audio for later playback is known as "time-shifting". With iRecordMusic you can record your favourite music stations, radio talk shows, sports broadcasts and more, and listen to the recordings at your own convenience - whenever and wherever you want. 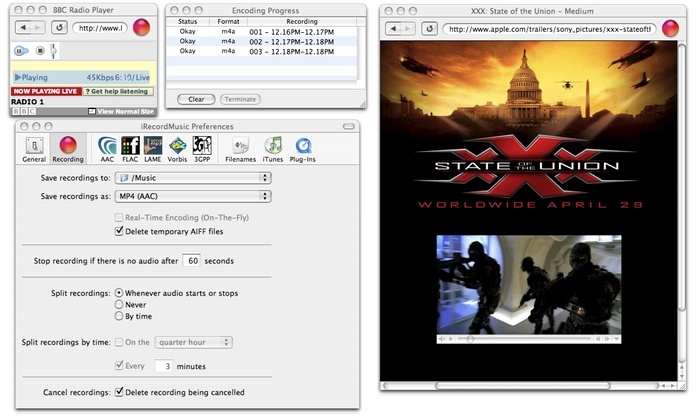 You can also record the audio from video sources such as YouTube or QuickTime movies. 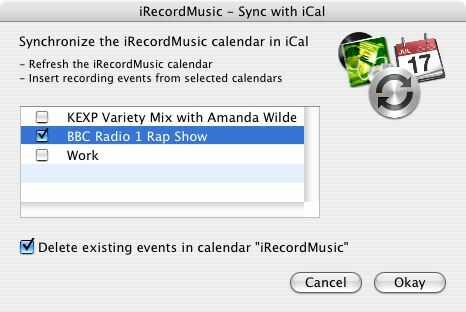 You can use iRecordMusic to record audio and still do your regular tasks like listening to music with iTunes, checking out new bands on MySpace, or watching some YouTube videos. 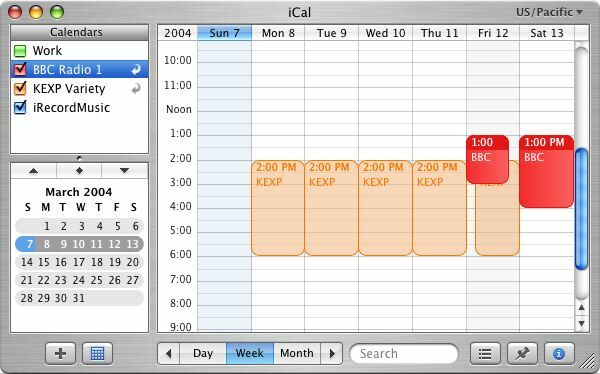 You can record audio safe in the knowledge that system beeps or iChat sound effects won't interrupt your recordings. Not all recording solutions allow this. 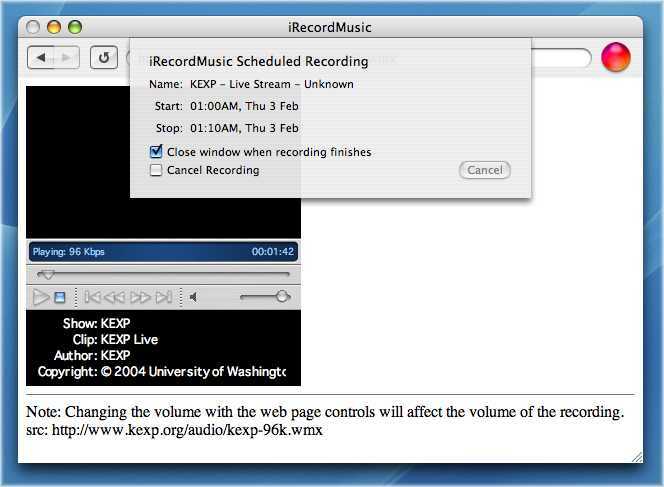 There is no need to worry about installing system hacks, buying external hardware, or juggling different applications and writing technical scripts to glue them together, just to make a single recording. One application, iRecordMusic, is all you need. 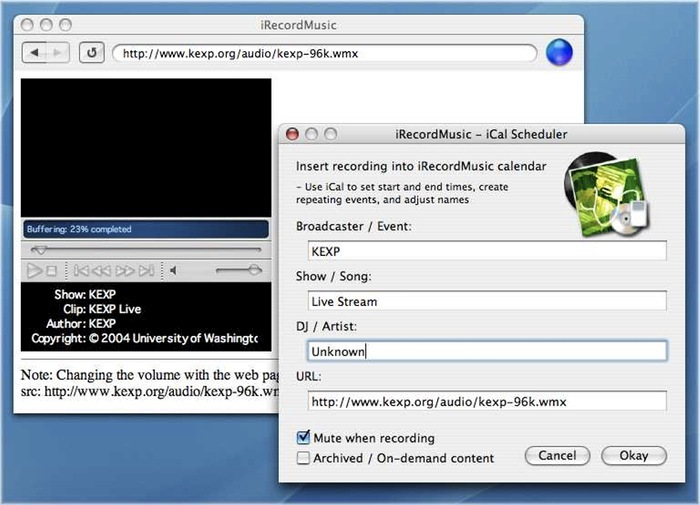 iRecordMusic's innovative web interface means it can take advantage of any improvements to Apple's web browsing engine (also known as WebKit which is used to power Safari) and third-party Internet plug-ins (for playback of audio formats such as RealAudio and WindowsMedia). 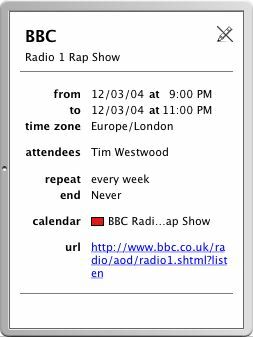 If you can play the audio from a web-page in Safari, you should be able to play and record it in iRecordMusic.